← Missing War Medals of Thomas Charles GORDON – Motor Torpedo Boats – Can you help? The descendants of a Merchant Navy Serviceman Mahomed GAMA are searching for his missing Mercantile Marine War Medal and British War Medal. Can you help? The missing First World War Mercantile Marine War impresses MAHD. GAMA. medal as it appeared on the eMedals website. If you purchased this medal, would you kindly consider selling it back to the family? A grandson to Mahomed GAMA contacted www.emedals.com in relation to the Mercantile Marine War Medal which they had listed on their website. They confirmed they knew where the medal was located and the identity of the buyer, however, under privacy laws they were unable to share the buyer’s contact details. This organisation indicated they would forward a contact request and information onto to the buyer after which nothing was heard. Subsequently the descendants made further contact with eMedals and they furthermore advised “it’s up to the buyer to contact you”. Unfortunately, with the passage of time – no response has been received from eMedals (on behalf of the buyer) or the actual buyer themselves. This is a disappointing result from eMedals and Medals Gone Missing would like to speak with a representative from this organisation who may be willing to assist? 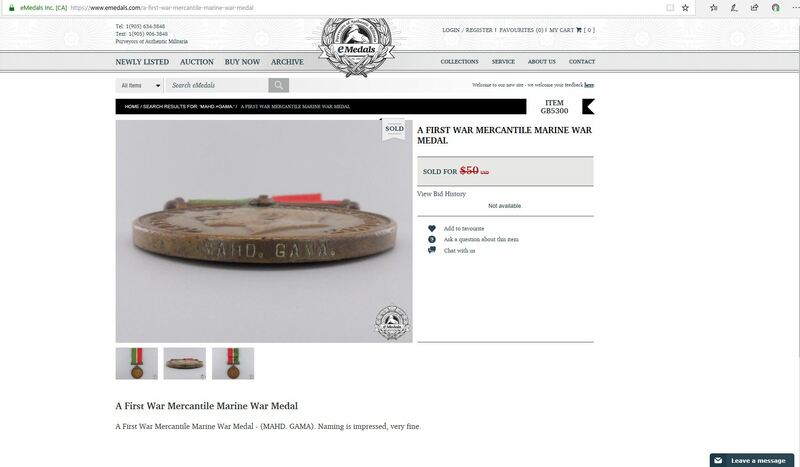 As can be imagined, the descendants have tried on numerous occasions to seek help from emedals, however eMedals deleted the page along with the three images of the War Medal from their website (for item GB5300) and blocked the descendants on Facebook messenger. If you are the current owner of either the British War Medal or the Mercantile Marine War Medal awarded to Mahomed Gama (MAHD. GAMA.) it is emplored by his descendants that you kindly consider selling the medals back to their family. Please contact Medal Gone Missing via this website if you can help. Any assistance would be greatly appreciated. 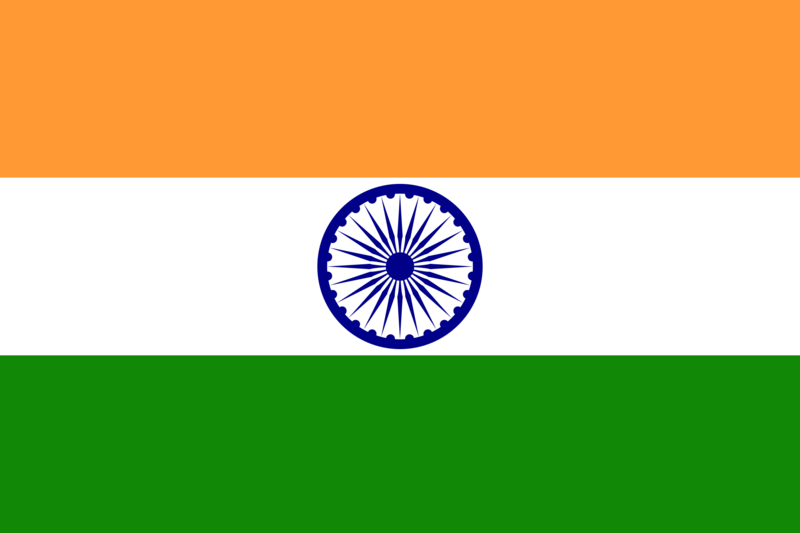 FOOTNOTE:- During the Great War, Mahomed GAMA served under the British Flag. 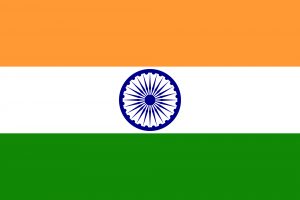 The Indian national flag as pictured above did not come into existence until 1947 and is for reference only. This entry was posted in Honour Roll - British Stories, Military Medals. Bookmark the permalink.